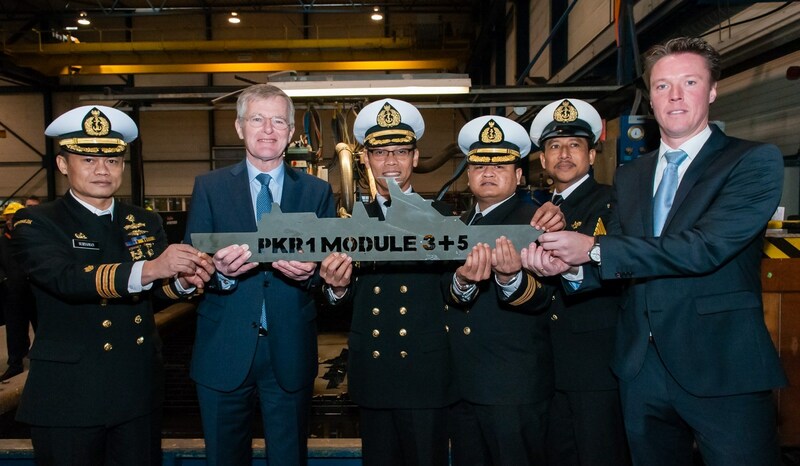 In December 2012, the Ministry of Defence of Indonesia and Damen Schelde Naval Shipbuilding (DSNS) signed the contract for the first SIGMA 10514 PKR Frigate. 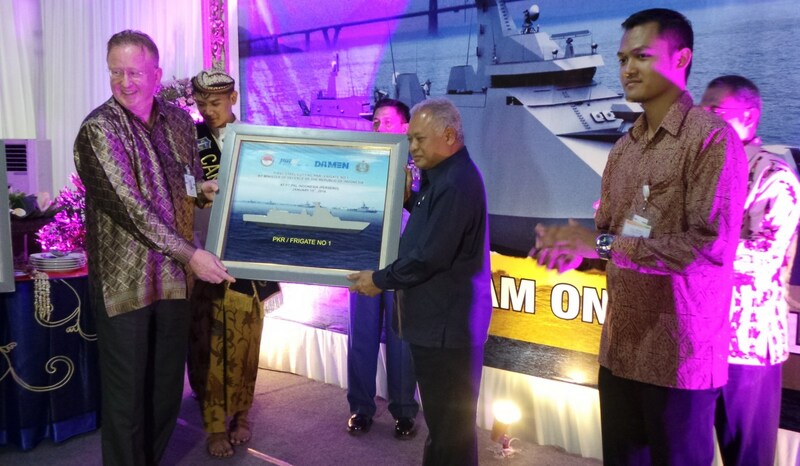 In accordance with the agreed planning for the construction of this frigate, the Steel Cutting Ceremony took place simultaneously on 15 January 2014 at PT PAL (Persero) Shipyard in Surabaya (Indonesia) and DSNS in Vlissingen (the Netherlands). DSNS will build two modules and subsequently ship them to the yard in Surabaya. The simultaneous construction and testing of the modules at two different locations signifies the unique modular building strategy of Damen Schelde Naval Shipbuilding; a method unparalleled in the naval shipbuilding industry. All modules will be assembled at the PT PAL(Persero) Shipyard under main contractorship of DSNS followed by Harbour Acceptance Tests and Sea Acceptance Trials. The engineering process for the second SIGMA 10514 PKR frigate, for which the contract was signed December 2013, proceeds as scheduled and construction is foreseen to start in approximately 6 months. The acquisition of the SIGMA 10514 PKR Frigate is part of the further modernization and expansion of the Indonesian Navy, TNI-AL. The main missions and tasks of the SIGMA PKR 10514 will be in the domains of naval warfare as well as Maritime Security missions and tasks. Also, the vessel may be used for humanitarian support tasks.